There is good and bad news for China's big birds. On the positive side, Chinese airlines will grow bigger and stronger, thanks to a government-led merger and acquisition spree and projected strong passenger growth at home in the next few years. The consolidation plan, announced last April, is proceeding with difficulty but will not derail the creation of three major airline groups that will account for 80 percent of the domestic market. The bad news is that airlines across the world have suffered from a sharp downturn in business because of the September 11 attacks and the global gloom that followed. According to the chairman of China Eastern Airlines, the attacks will cost China's three biggest airlines Yn3.35bn in losses in 2001 and 2002. Even before this, Chinese carriers were struggling with high fuel costs, excess capacity and cut-throat price competition. The country's 30 airlines operate in a highly fragmented market, serving 1,100 routes with more than 500 planes. In the first half of 2001, the industry incurred a loss of Yn2bn, compared with profits of Yn850m for the whole of 2000. The Civil Administration Authority of China (CAAC), both majority owner and regulator of the industry, quickly imposed price controls in mid-2001 and the industry turned a profit of Yn1.23bn in July and August as a result. Then terrorism hurt aviation business worldwide and Chinese airlines plunged into the red again. In the week following the September 11 attacks, China's three biggest airlines and the ones most involved in international business – Air China, China Eastern Airlines and China Southern Airlines – incurred losses of Yn73m from reduced passenger and freight business. The three, with much of their debt in yen, also incurred an estimated loss of Yn220m in foreign exchange due to the temporary strength of the Japanese currency last September. Chen Xiaoning, CAAC's research director, expects more economic pains for the industry this year, given the poor prospects for tourism and Sino-American trade. Look beyond the next few months and the future looks much better for several reasons. First is the potential of the domestic market. China is expected to be the world's second- largest aviation market in two decades' time, with an annual average growth of 9 percent. Currently, only 5 percent of the population fly each year, allowing considerable room for expansion. The big airlines will need to streamline their bloated staff. Air China has announced plans to lay off 2 percent of its 11,000 workers. Kevin O'Connor, an aviation analyst at Deutsche Bank in Hong Kong, says Chinese airlines are not as overstaffed as they appear. "In terms of capacity per staff member, we estimate that Cathay Pacific and Singapore Airlines are nearly three or four times as efficient as China Southern and China Eastern," he says. 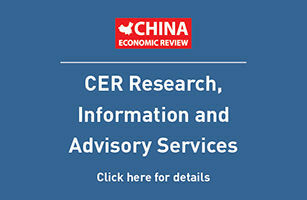 "However, costs per staff member in China are much lower. Also, we have to bear in mind that wide-scale restructuring and redundancies could have high social costs. The problem therefore has to be tackled not only by job reductions but also by growth of the industry." Marston Lai, aviation analyst at the Hong Kong-based Worldsec Securities, says the mergers will bring relief to the ongoing fare price war. "With fewer players in the consolidated market, we expect the pressure on domestic airfares will be eased," he says. "We expect the number of players will be further reduced." Domestic fares have dropped as much as 50 percent in recent months, with a round trip from Beijing to Shanghai costing only Yn1,000, down from Yn1,800-2,000 one or two years ago. Smaller airlines are fighting back. Soon after CAAC announced the mergers, six regional airlines – Shanghai Airlines, Sichuan Airlines, Wuhan Airlines, Shenzhen Airlines and China Postal Airlines – formed an alliance to jointly promote their business. Collectively, they have assets of Yn20bn, 100 planes and 10-12 percent of the national market. These small airlines tend to be better managed than the major airlines, and the six account for 35 percent of all profits made by China's airlines. Hainan Airlines, one of China's most profitable carriers, continues to operate as a loner. It has its own acquisition plan. Last July, it bought 89 percent of Shanxi Airlines, based in the central province of Shanxi, for Yn5m cash and Yn280m of aviation assets. It also plans to acquire 66.9 percent of the Xian-based Changan Airlines, for a sum of about Yn355m. CAAC said it had worked on the mergers for a long time, taking into consideration factors such as geographical differences, individual airline strengths and overall competition. Despite its meticulous planning, the mergers have not been smooth sailing. Air China and CNAC are arguing who should lead their new group. Air China is the bigger airline of the two, but CNAC is stronger financially, with billions of yuan of spare cash. "The two parties are waiting for an authoritative outside party to resolve their dispute," reported the Beijing-based Economic Information Daily in late December. China Eastern meanwhile is unhappy to merge with China Northwest, whose debtasset ratio stands at 120 percent, the highest of all China's airlines. According to Economic Information Daily, the two airlines have stopped discussing the merger. China Eastern wants CAAC to help lobby the banks write off Northwest's debt before the merger occurs. China Southern appears to be the happiest of the three groups. "It is the biggest winner [of the merger plan], with the biggest market share eventually of 35-40 percent, up from the current 24.5 percent," says Lai of Worldsec Securities. Wang Changxun, general manager of China Southern, said last August it would take 12-18 months to complete its mergers with the new partners. With all these problems, CAAC's ambitious target to complete the mergers within six months looks unrealistic. So far, only China Eastern has completed the acquisition of Great Wall Airlines for Yn400m, comprising an injection of cash and shares from Hainan Airlines. The other airlines are merely assessing the value of their partners' assets, with no serious merger negotiations have yet taken place. They are cooperating in peripheral areas such as ticketing, warehousing and other on-the-ground services. Mergers alone are unlikely to turn China's money-losing airlines into competitive companies. They need to have a change of ownership, either through listing or transfer of shares into an independent board of directors with genuine management power. CAAC is currently both the industry's regulator and the major shareholder of the 11 airlines. For the moment, there is little external pressure on CAAC to introduce radical ownership reform. China's entry into the World Trade Organisation, a powerful catalyst of change for other industries, will not affect airlines. The airline industry remains closed under the WTO accord, leaving Chinese airlines to fight among themselves in the increasingly crowded sky.